Dr. Crutchfield, I have these tiny bumps all over the backs of my upper arms. My mother and sister have them, too. They seem to be worse when my skin is dry. What is going on with my skin? The condition is called keratosis pilaris. It can be present at any time, but appears worse when the skin is dry. Dry skin and keratosis pilaris are very common. Dry skin can occur at any age and for many reasons. 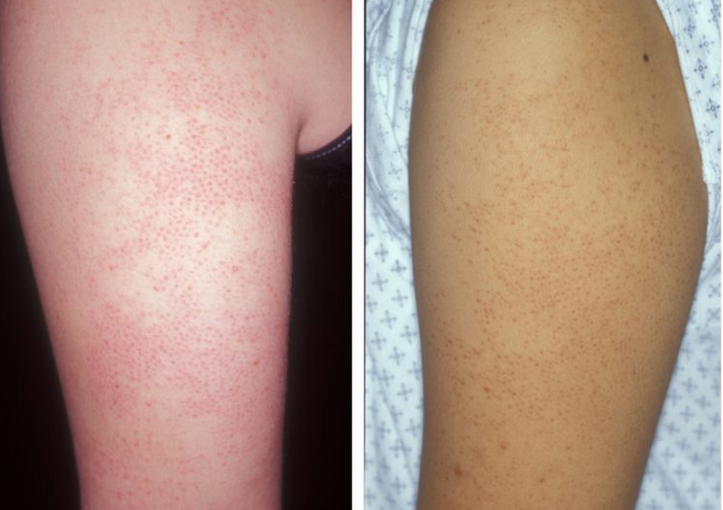 In skin of color, dry skin can appear white or grey and is often called “ashy.” Keratosis pilaris is an inherited skin condition that develops in almost half of the population. Sometimes a dermatologist’s help is necessary to get relief from both dry skin and keratosis pilaris. Skin can become dry when it loses too much water or oil. 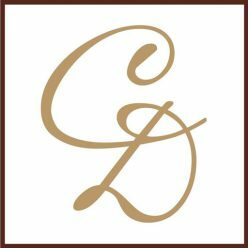 Skin generally becomes drier as we age, during the winter, and in low-humidity climates such as the desert. It is essential to put lotion on immediately after bathing or showering to minimize dry skin. When dry skin cracks, germs can get in through the skin. Once inside, germs can cause an infection. Red, sore spots on the skin may be an early sign of an infection. Restoring lost moisture can make the skin softer, smoother, less itchy, and less likely to crack. Use warm water. Hot water removes your natural skin oils more quickly. Warm water is best for washing. Be sure to moisturize after showering. Use mild soap. Look for a low detergent, mild, fragrance-free soap or cleanser that moisturizes. Avoid deodorant bars, soaps with strong detergents, fragrances, exfoliating products, and products containing alcohol that can strip natural oils from the skin, making it dry. Shave after bathing. It is best to shave after bathing when hairs are soft. Use a shaving cream or gel and, when possible, allow the product to remain on the skin about three minutes before starting to shave. Shave in the direction that the hair grows. Change razor blades or throw away disposable razors after five to seven shaves to help minimize irritation. Moisturize right after washing. A five-to-10-minute bath or shower adds moisture to the skin. Spending more time in the water often leaves your skin less hydrated than before you started. To retain moisture from a bath or shower, apply an ointment or cream liberally while the skin is still moist, within three minutes of drying off. Look at the ingredients in your moisturizer. For very dry skin, a moisturizer that contains shea butter, urea, mineral oil or lactic acid may be helpful. These ingredients help the skin hold water. There are moisturizers with these ingredients available both over-the-counter and by prescription. Use a humidifier. Keep the air in your home moist with a humidifier, especially in the dry winter months. Soothe chapped lips. At bedtime, apply a lip balm that contains petroleum. Other names for this ingredient are petroleum jelly and mineral oil. Keep skin protected when outdoors in winter. In the cold, wear a scarf and gloves to help prevent chapped lips and hands. Keeping your skin well moisturized should improve dry skin. This means applying a moisturizer to your hands, every time, after washing. If the dryness worsens, contact your dermatologist. What can happen if my skin gets too dry? In some people, areas of extremely dry skin can lead to other skin conditions such as dermatitis or keratosis pilaris. Dermatitis: Dermatitis means inflammation of the skin. It can cause an itchy rash or patches of dry skin. When dermatitis is present, your dermatologist may prescribe a medication such as a corticosteroid medication (a type of cortisone) or an immune modulator medicine (such as tacrolimus or pimecrolimus). Applied to the affected skin, these medications can relieve the itch, redness and swelling. Regular use of a moisturizer can help avoid dermatitis flares. 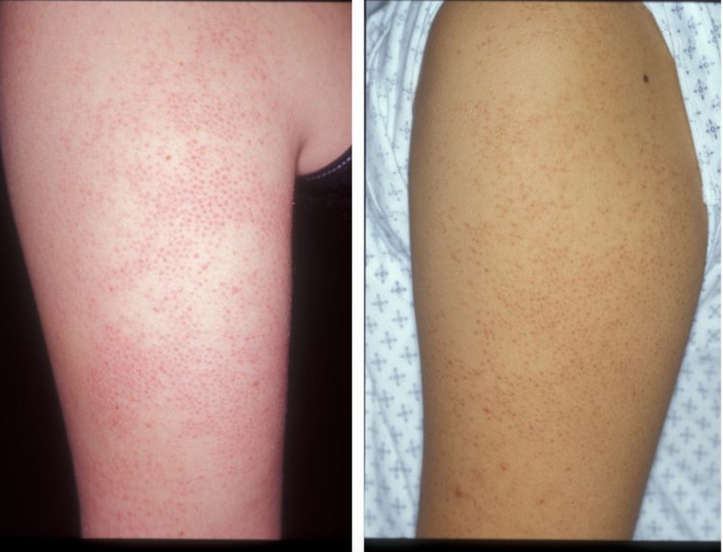 Keratosis pilaris: As described above, keratosis pilaris is tiny, skin-colored or slightly red bumps that give the skin a texture like sandpaper. Sometimes called “chicken skin,” keratosis pilaris occurs most often when the skin becomes very dry. Some people only have keratosis pilaris flare-ups when their skin becomes very dry. Most common in children and teens, the bumps appear on the upper arms and thighs. In children, they are common on the cheeks and can be mistaken for acne. Each tiny bump is a plug of dead skin cells. Keratosis pilaris sometimes itches, mainly during the winter and in low-humidity climates. When humidity increases, usually during the summer, the skin becomes less itchy and the bumps become less red and less noticeable. Keratosis pilaris is harmless, however, you may want to seek treatment to relieve the itch or improve the appearance of these tiny bumps. Many dermatologists consider keratosis pilaris normal. When conditions are normal, they are difficult to treat, because they are normal! But one can make keratosis pilaris look better. Moisturizers may help with the dryness and itch. Creams that contain urea or lactic acid are often effective moisturizers. Moisturizers do not generally clear the bumps. A mild chemical exfoliant, either a product containing salicylic acid or alpha-hydroxy acid or those prescribed or recommended by a dermatologist, can effectively remove the excess dead skin and get rid of the bumps. Topical (applied-to-the-skin) retinoids also may help. an alpha-hydroxy smoothing and moisturizing lotion. Though keratosis pilaris can be improved, patients must treat keratosis pilaris on a regular basis to prevent its return. Some patients respond to treatment better than others. Nevertheless, a dermatologist can offer many treatments and suggestions to improve dry skin and keratosis pilaris.